How do you find a piano teacher that is right for you? Here is a practical guide on what to look for and how to find the best piano teacher for you or your child. Whether you are trying to find a piano teacher for yourself or your child, start by asking yourself what you want to get out of the piano lessons. What styles of music are you interested in learning? 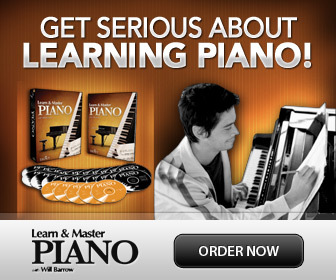 Do you want to play the piano as a hobby or do you want a professional education? How much time are you willing and able to practice daily and/or weekly? How much is your budget for lessons, per week, month and year? Would you like to learn to perform, play in recitals or competitions and/or take exams? Are you interested in individual lessons or group lessons? Do you prefer to go somewhere else for lessons, or that the teacher comes to your home? After you know what you need and will be looking for, you are ready to begin the search for a teacher. 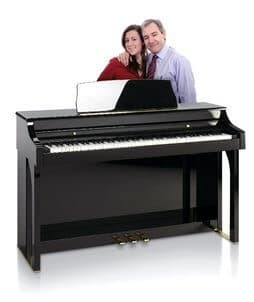 There are many ways to find a piano teacher, but the best places to start with are probably a recommendation from friends, colleagues, your piano tuner, music stores, schools, teachers, churches or local music teacher organizations. The phone book, or yellow pages online. At your local school- maybe they have teachers offering private lessons, or after school programs. At the local college or university- are they offering any piano classes, or looking for piano students for their piano pedagogy program to "practice" teaching on. Music store, or piano store. If you sign up for a music school or conservatory, the choice of a piano teacher will be done by the establishment. The student will be placed with a teacher who is available and specialized to teach the level of the student. Remember that a great piano performer does not necessarily make a great piano teacher, and a great piano teacher might not be a great pianist. Think about what you are looking for. Would you like to find a piano teacher / pedagogue to help you learn in the best way possible or an amazing pianist to inspire you by their playing? Preferably both, but for beginners and children it is important that the teacher really can teach. A pianist teacher should have a piano pedagogy certification and/or a College or University degree that includes piano pedagogy and have experience working with young children, if the lessons are for your child. For advanced students aiming for a career as a pianist; a teacher who is a skilled performing pianist and whose students regularly participate in festivals, competitions, exams and recitals is preferable. Make sure to use a professional! It is important when starting piano lessons to get a good foundation in piano playing technique, note reading and quality of expression. And keep in mind that just because someone knows how to play the piano does not mean they can teach piano. After you have a list of possible piano teachers, try to find out as much as possible about the teacher before the meeting. Maybe it is possible to attend a recital with the teachers' students? Choosing a private teacher means there are a few things to consider. When you call your prospective piano teachers, ask a few initial questions before you make an appointment. If you hear things you do not like, you can politely say you will think about it. Where is the teaching taking place, in your home, the teacher’s home, a studio or at a music store? If it is in the teacher’s home; are the piano lessons in a designated studio or in the living room at home? Are family pets or other children allowed in the room? Ringing telephones, television? What ages are they teaching? What levels do they teach? What styles of music they teach? Don't ask about the cost of the lessons at this point. When searching to find a piano teacher, as a general rule; don't settle for “cheap” teachers! It's more important that it must feel like the right teacher for you or your child. With the right experience, professionalism and personality. And you need to meet the teacher for this. Then, and only then, ask for the price of the piano lessons. If they are cheaper than expected, happy news! If the lessons are more than you can afford and you really like the teacher, ask for other arrangements, maybe the teacher offers group lessons, or even a shorter lesson. If you get a good feeling about the teacher set up an appointment. If the lesson is for your child, make sure s/he comes along as well. The teacher may want to hear you play if you have played before. If your child is transferring from another teacher, s/he should bring the piano books used previously, and prepare a couple of pieces for an audition. For a beginner child, a professional piano teacher may want to assess the student’s aptitude for learning with a short lesson. What kind of teacher training does the piano teacher have? How long they have been teaching. How much the students are required to practice at home. If the students get to play in recitals. If there are any group lessons or classes. Are the piano students able to play in any ensemble or duet playing? When teaching young children - can the parent be present at the lesson? Make up and cancellation policy? And finally, how much are the lessons? What is included, what is not (books, recital fees, etc.) Are there any other fees? 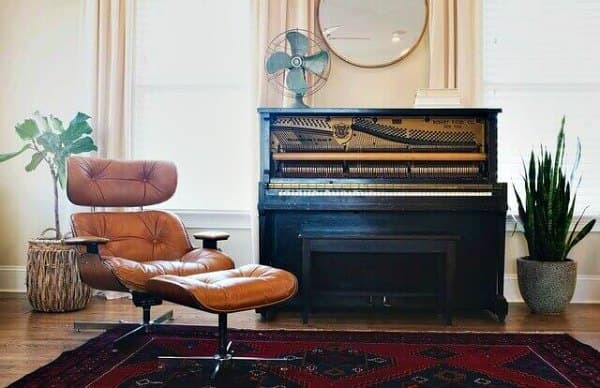 Make sure you have a good piano at home, an adjustable piano bench and sufficient light. Plan so that you can practice undisturbed for a set time every day. Order or purchase the piano books that your teacher will recommend as soon as possible. You might also need to purchase a metronome.